Smart Allergy Friendly Education: Plentils - Free of the Top 8 Allergens and More! 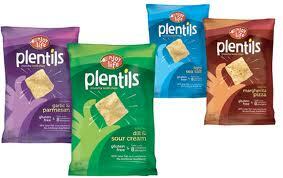 Plentils - Free of the Top 8 Allergens and More! Enjoy Life makes us smile again! Loving this NEW product which is FREE of the top 8 allergens AND free of gluten, casein, sesame and sulfites! There's not much more to say... we took a bag of these to a family get together and everyone ENJOYed them. Those WITH and WITHOUT allergies. If you're not already a fan of Enjoy Life products, this one may pull you in. Plentils crunchy lentil chips, garlic and parmesan, manufactured for Enjoy Life Natural Brands, LLC., Schiller Park, IL 60176. Ingredients include: LENTIL POWDER, POTATO STARCH, SAFFLOWER OIL, MALTODEXTRIN, SALT, RICE POWDER, ONION POWDER, NATURAL FLAVORS, DEHYDRATED PARSLEY, GARLIC POWDER, SPICES, YEAST EXTRACT, LACTIC ACID, SUNFLOWER OIL, TURMERIC. 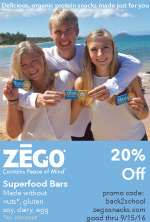 For more information, contact: Enjoy Life or 1-888-50-ENJOY. 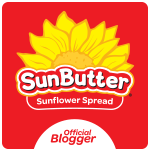 You can discover recipes, a resource center and coupons on their main page. Their Plentils webpage, Plentils, will provide you with more details about their other Plentil varieties. Next up? Dill and Sour Cream and Margherita Pizza Plentils!